David Geffen has donated $100 million to create a private middle and high school mainly for the children of UCLA employees. But while UCLA is receiving this major gift, public schools in L.A. are in trouble — the LAUSD is facing a long-term deficit and declining enrollment. And if you are wealthy, how do you decide what to give your money to? Is there a right way and a wrong way to do philanthropy? Next, more news on the NFL possibly bringing a football team to L.A. And an update on L.A.’s bid to host the 2024 Olympics. That and more in our sports roundup. Then, war photography — often artful and beautiful — can glamorize conflict. Our guest has reviewed thousands of war photographs that ran on the front page of the New York Times since 2001, when the U.S. invaded Afghanistan. Finally: The Dark Web — the secret underground of the Internet — may not be so secret. The most notorious illegal website, the Silk Road, where customers could order illegal drugs, got busted by the FBI last year. This week, questions are being raised about how the FBI cracked that case and whether it violated innocent people’s privacy in the process. 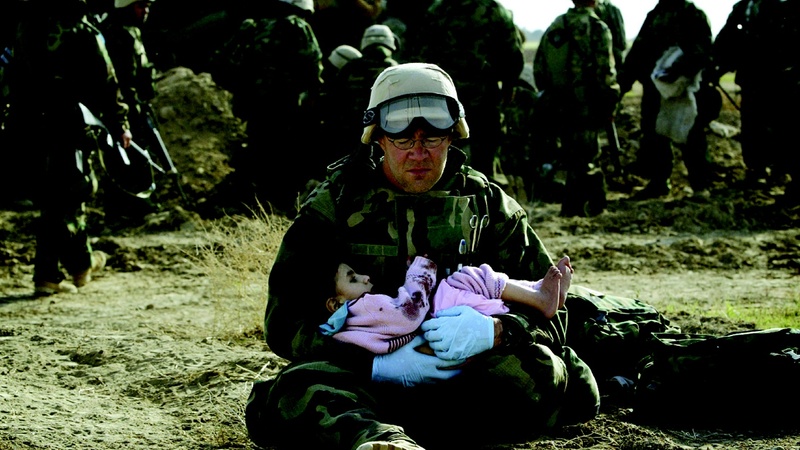 Banner Image: From War Is Beautiful by David Shields, published by powerHouse Books. If you are wealthy, how do you decide what to give your money to? Is there a right way and a wrong way to do philanthropy? More news on the NFL possibly bringing a football team to Los Angeles. And an update on L.A.’s bid to host the 2024 Olympics. That and more in our sports roundup.